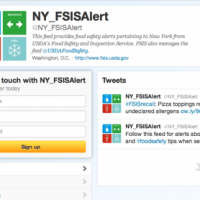 Guest post by Mahni Ghorashi, co-founder of Clear Labs. 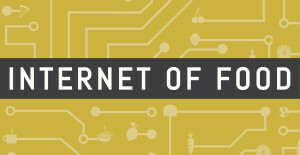 This post is part of our Internet of Food Series. 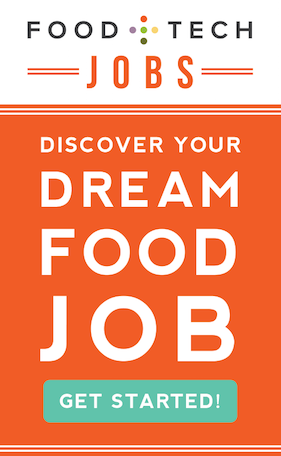 The views expressed are are solely those of the author and do not reflect the views of Food+Tech Connect. It’s hard to forget the recalls that have rocked the food industry in recent history, like Blue Bell, Kraft and Nestle. While their recalls may be a thing of the past, the consequences are far from forgotten. Both the immediate and lasting impacts of recalls are devastating, costing billions in damages and resulting in millions of sick people each year. On average, recalls cost brands upwards of $10 to $30 million per recall, including pulling food off the shelf, negotiating lawsuits and restructuring plants, as well as dealing with PR crises and brand decay. The human cost is also significant. One in six Americans gets sick from contaminated food or beverages annually, and three thousand of those cases are fatal. Finally, there’s an intangible cost, too. High-profile recalls like those issued by Blue Bell, Kraft and Blue Buffalo erode consumer confidence, meaning consumers increasingly live and shop in fear and doubt. 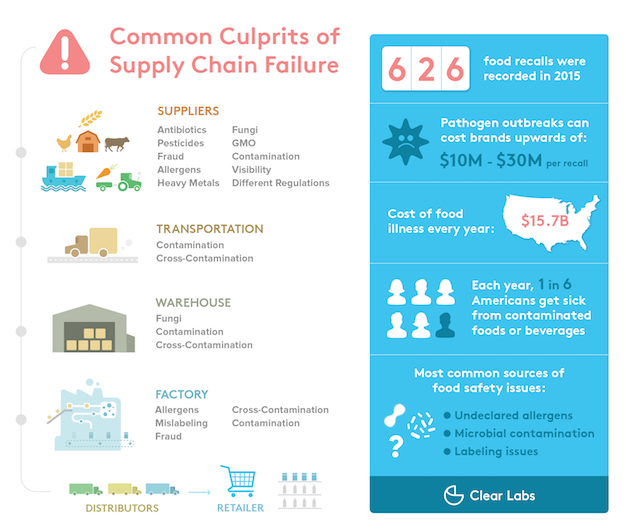 The problem is obvious, and the industry is continuously enhancing food safety programs to reduce the need for recalls. Yet with everyone waging war against the same problem, why are recalls still so prevalent in the food industry? The way we test food today leaves gaping holes along the food supply chain. Food testing is expensive, and, as a result, only high-risk foods like meat and dairy are regularly tested. Even then, most tests are only spot checks on certain lots of products, so problems are often only detected after people start getting sick. The food industry is primed for innovation, and we need a comprehensive solution to close the gaps in the supply chain to prevent costly recalls. Luckily, developments in modern science and technology have shown up to the table and this goal is closer to hand than ever before. One new technology that has real promise for the food safety industry is next-generation sequencing (NGS). NGS is a process of sequencing and analyzing the DNA of plants, animals and fungi down to the molecular level. When applied to food, it’s able to do what no other testing technology to date can do: look blindly into a food sample and see everything that’s there – the breakdown of different ingredients, bacterial contamination and allergens, to name a few. Traditional food tests, on the other hand, require you to know what you’re looking for at the start of the test (ie. listeria, salmonella, etc.). The price point is important, too. NGS is cheap and getting cheaper. The price to sequence a full human genome is plummeting like a rock, from $300 million ten years ago to the $1000 today. Sequencing the genome of food is less expensive than the human genome, because you need only a small snippet of the genome to identify a species. NGS testing is still in the early stages and experiencing a rate of improvement faster than Moore’s Law. The possibilities are only just being realized. Imagine a supply chain in which many more food samples are tested in near real time as they flow from supplier to manufacturer to retailer. This would not just be a technological shift, it would be a business-model shift that allows food producers and manufacturers to catch problems before they even make it to the grocery store shelves. 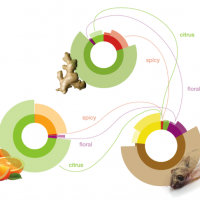 With this technology, we can envision a future where food recalls are a thing of the past. 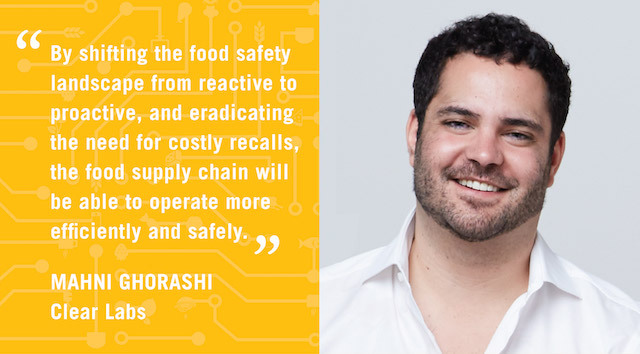 By shifting the food safety landscape from reactive to proactive, and eradicating the need for costly recalls, the food supply chain will be able to operate more efficiently and safely. As the saying goes, a penny saved is a penny earned. When it comes to recalls, it’s looking like a couple billion dollars on the books. Embracing NGS is a win-win for everyone. Companies will be able to reallocate funds drained by recalls to more proactive measures, such as research, development and innovation – just like Target is already doing. Consumers will be able to shop with more confidence and worry less about the possibility of food borne illness. And the food industry will have the opportunity to thrive like never before. 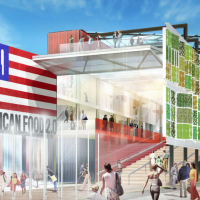 The future of food is not far off, and Clear Labs can’t wait to take a seat at the table. 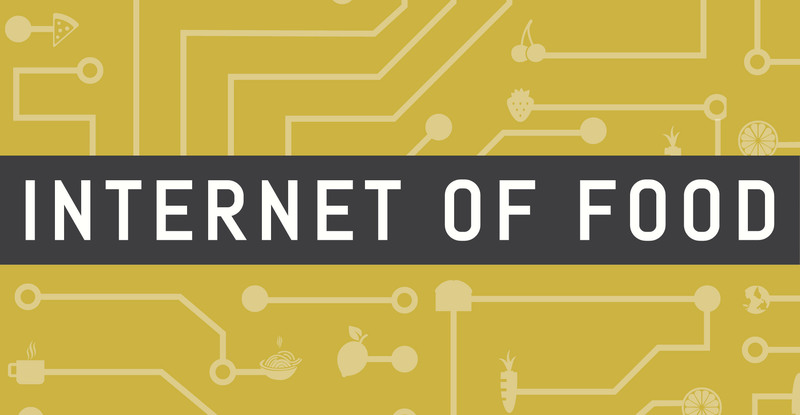 Internet of Food is an editorial series exploring how we might use technology, new business models and design to guarantee healthy, safe and sufficient food for everyone. Join the conversation between March 23 and April 29. Share your ideas in the comments, on Twitter using #internetoffood, Facebook, Instagram or LinkedIn, and follow the conversation by subscribing to our newsletter. Mahni leads commercial activities at Clear Labs, including strategy, marketing and corporate development. 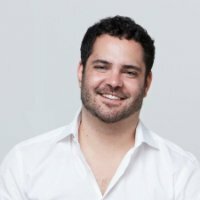 After graduating from MIT and getting his MBA, Mahni pursued his interest in big data and genomics as Head of Marketing at Bina Technologies (acquired Roche). In pursuit of his next adventure, Mahni co-founded Clear Labs to set a new standard in molecular food quality for the global food industry. Mahni is also a concert pianist in his off hours and is a tireless supporter of the arts.